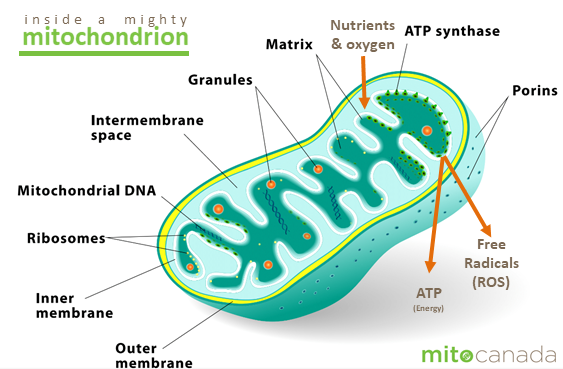 Home » What are mitochondria? 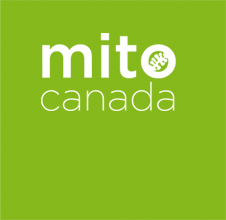 Mitochondria are mighty, microscopic, energy-producing structures that are essential to our health. These organelles (specialized structures within a cell performing specific functions) live within almost every cell in our bodies. Mitochondria are responsible for creating more than 90% of the energy needed to sustain life and support organ function. They’re like tiny factories in each of our cells that turn the food we eat and the oxygen we breathe into energy – our body’s major energy source. We cannot survive without them. there are about 10 million billion (100,000 trillion) mitochondria in an adult human! mitochondrial DNA can mutate up to 10x faster than nuclear DNA in an ordinary cell.